In 2005 we continued the project. We aimed to explore the possibilies: How suitable are the collected data from land-based observations, what sightings can be made and what behavioural data can be collected? 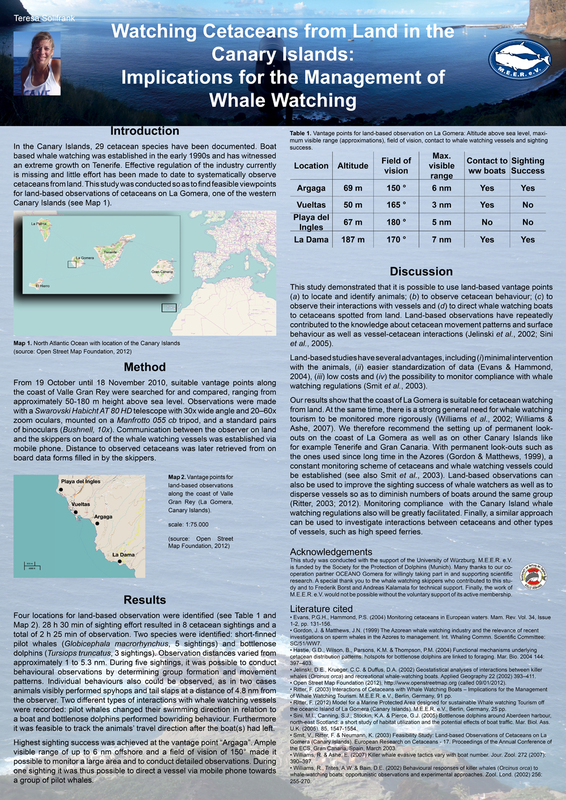 The study resulted in a final thesis of a biologist student and you can find the results and summary here. In 2016 M.E.E.R. 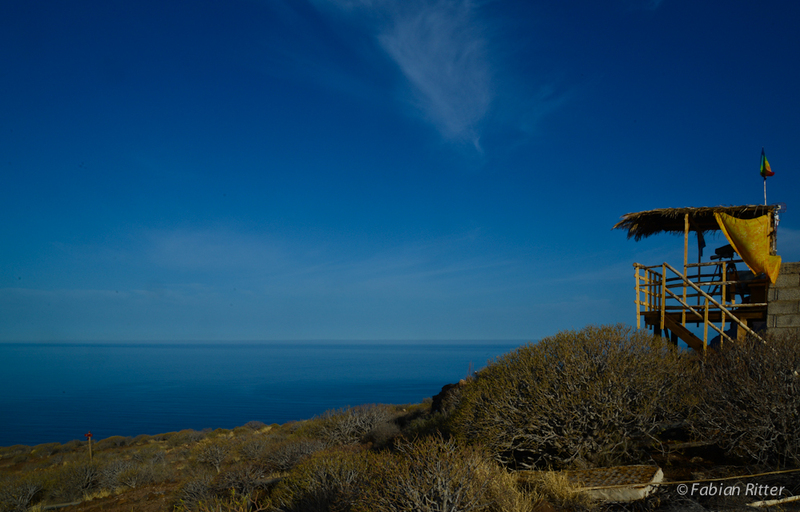 set himself the task of building a permanent observation station on La Gomera. We applied for funds and found cooperation partners at Gomera. In November 2016, we conducted successful test runs and land-based observations were documented. By guiding the whale watching boats from aboveaccording to our land-based observations we were able to contribute to a sustainable whale watching management. 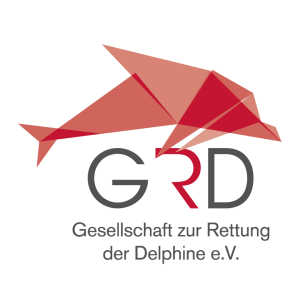 Finally, IFAW (International Fund for Animal Welfare), Beatrice-Nolte-Stiftung, GRD and DSM assured M.E.E.R. e.V. financial support – the project started! 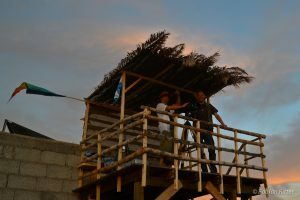 In December 2016, the construction of the shelter began and we ordered professional optic equipment. First systematic data collection is planned to start in early 2017. 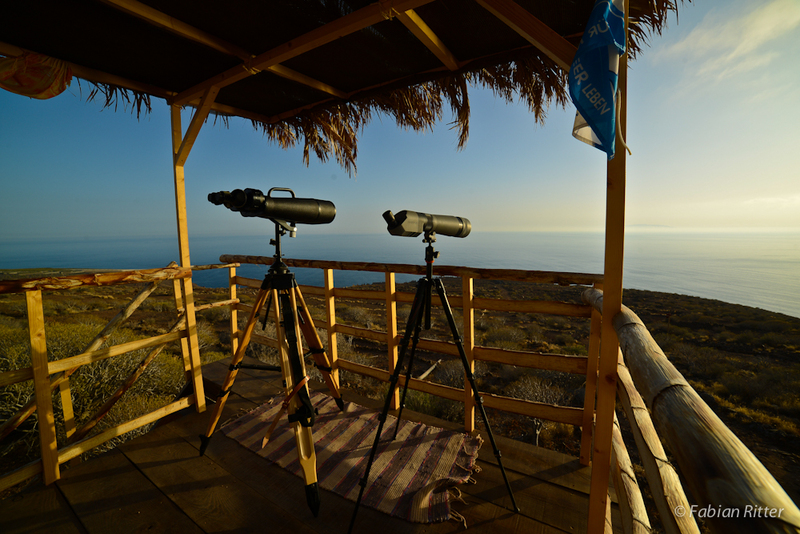 In springtime 2017, the first permanent platform for the observation of whales and dolphins from land was inaugurated on La Gomera. Once more, M.E.E.R. in this way was pioneering in the context of whale watching & cetacean research in the Canaries. 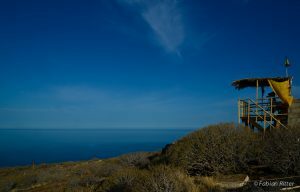 The new platform is situated on the South coast of the island at a height of approximately 250 m above sea level, and near Valle Gran Rey, the starting point of most whale watching trips. The platform was brought into service by principal investigator Christian Steindorff and Fabian Ritter, president of M.E.E.R., on 04 April, 2017. The platform, crafted from natural materials, can host several observers and offers a near 180° panoramic view as well as protection from wind and sun radiation. 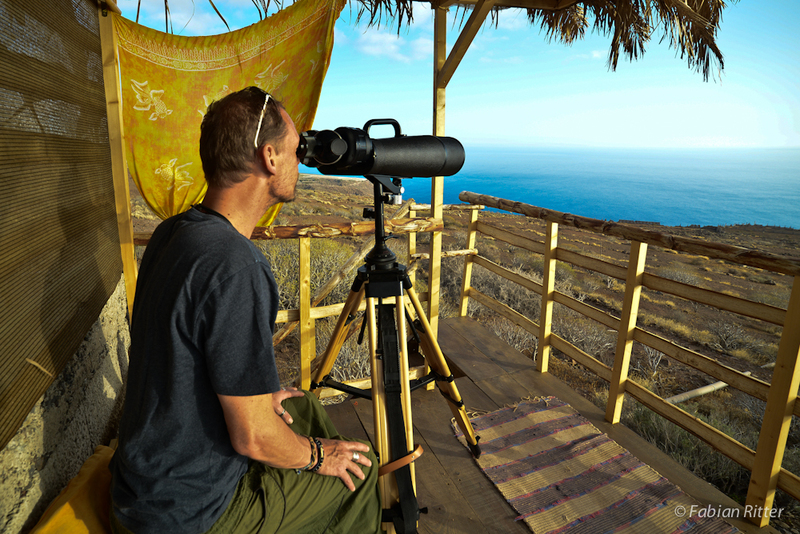 Professional optical equipment is at hand: BIGEYE binoculars (up to 40x magnification) and stabilized Canon handheld binoculars (15x magnification) as well as a monocular telescope (Svarowski Habicht, up to 30x magnification) will facilitate the observations. Before the first observation sessions were initiated, M.E.E.R. met with all local whale watching operators so as to present and discuss the setup and the goals of the platform. This facilitated the subsequent collaboration, i.e. the communication between the platform and the vessels at sea.Until to date, a large number of sightings were documented from land, and increasingly whale watching vessels are guided towards cetacean groups. In the end, however, it shall be the dolphins and whales inhabiting the area benefiting from these activities, by an improved channeling of the whale watching tourism. This project is realised through funding from IFAW, Beatrice-Nolte-Stiftung , GRD , DSM and TUI Cruises. Already back in 2002, M.E.E.R. realized the first systematic land-based observation of cetaceans. A feasibility study (Smit et. 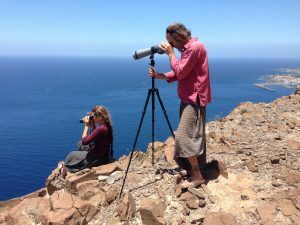 al 2003) and other investigations that followed (Sollfrank & Ritter 2012) could underpin the original assumption that land-based observations from La Gomera’s coastline are indeed feasible and hence can greatly contribute to science. Land-based observations of cetaceans can provide valuable insights to the animals’ movement patterns, surface behaviours and cetacean-boat-interactions. A huge advantage is that no direct intervention is needed – the animals are not disturbed by the observers. Thus, it is possible to comparatively study cetaceans while vessels are present or absent. Furthermore, vessels can be guided, and the dispersal of whale watching boats within the observation area can be actively influenced. Ideally, this results in less pressure on the animals at sea as well as a higher sighting success for the whale watchers. c) exemplifying best practice in whale watching, with a view to other locations in the archipelago. 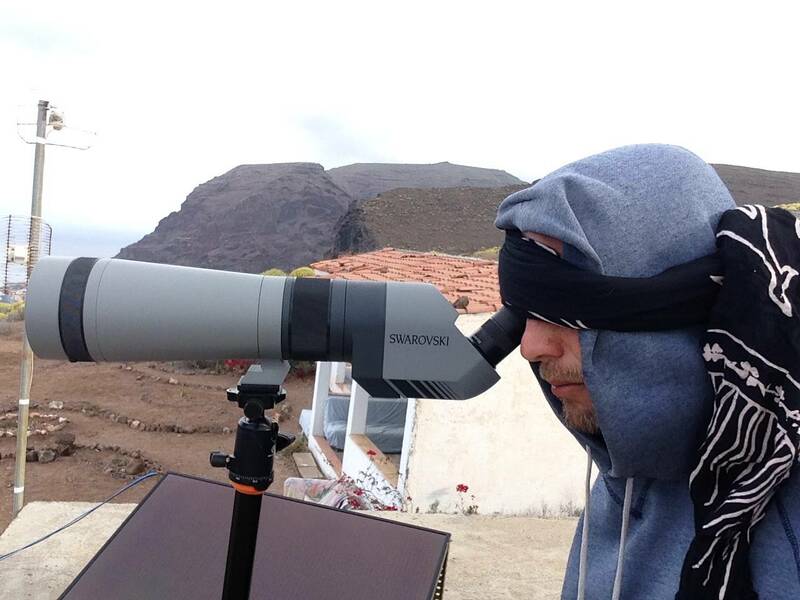 c) monitoring of whale watching tourism off La Gomera.